Jason Gisser has created his own style of music with his latest release, The River EP. The lush production showcases Gisser’s own inimitable style coupled with talented instrumentation contributed by the rest of the band. The titular effort on The River is a rock track that touches upon artists as diverse as the Black Crowes, Blues Traveler, and Credence Clearwater Revival. Particular high notes during this effort have to be the soulful guitar lines and the on-point percussion. The band is able to utilize quiet sections to further bolster the band’s output; one can easily hear the southern rock (e.g. Lynyrd Skynyrd). The slower tempo of The River allows the band ample time to build upon a specific set of themes, making for a single that will stick with listeners long after the effort ceases to play. Monster has a bit of down and dirty rock that acts as the instrumental backdrop. The band is able to insert a bit more grit and rock sound to the style that was originally pushed forth during The River. The depth of this effort is considerable, to the degree that listeners will continue to find new things secreted away after quite a few spins. Hints of Zappa and The MC5 bounce around before The Jason Gisser Band conclude this single. While The River EP only has two tracks, fans will have a much better idea about this act by the conclusion of Monster. 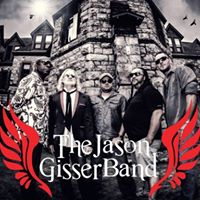 There are a number of paths that The Jason Gisser Band could take with the follow-up to this release, and we are confident that the next music that comes forth from them will be as strong of efforts as these initial efforts. For additional information about The Jason Gisser Band, check out their domain. Very cool. Were glad you dug it.